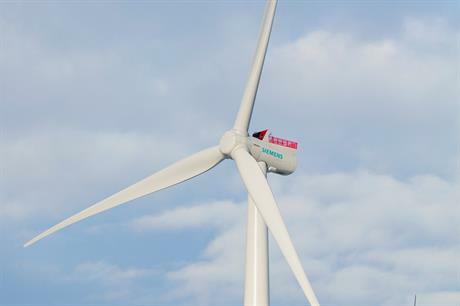 GERMANY: Utility-developer EnBW will build the 112MW Albatros offshore wind project in the North Sea, using Siemens turbines. Albatros will feature 16 Siemens SWT-7.0-154 turbines when it is completed by 2019. It is the company's second positive investment decision in 2017, following the go-ahead for the 497MW Hohe See project in February. Hohe See was approved by EnBW after it sold a 49.9% stake in the project to Canadian energy firm Enbridge. EnBW said both sites will be installed jointly in the North Sea. This will create project synergies and reduce costs. Hohe See will also feature the Siemens 7MW machine. The project sites are close to the planned area for EnBW's 900MW He Dreiht project, which secured a zero-subsidy licence in April's auction. As with Hohe See, Siemens will be responsible for supplying the turbines and foundations for the projects. The manufacturer will also provide the transformer station for Albatros, EnBW said. Dutch firm GeoSea will be responsible for installing the foundations, and array cabling will be carried out by VBMS, EnBW added.